The official weigh-ins for “UFC 171: Hendricks vs. Lawler” take place today inside Gilley’s Dallas in Texas. Stream Friday’s weight contest live right here on 5thRound.com starting at 5PM ET/2PM PT. 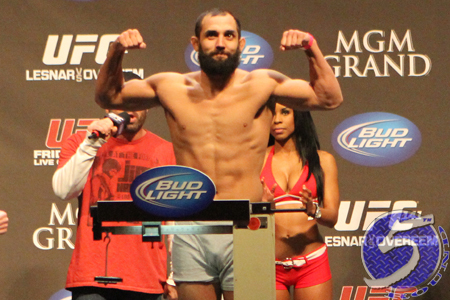 Johny Hendricks (pictured) and Robbie Lawler battle for the vacant welterweight title in the show’s featured attraction. Former 170-pound interim champ Carlos Condit faces Tyron Woodley in the co-main event.